3 Dining Tables that are Sure to Impress Your Guests. Your dining room is often regarded as the most formal room in the house and it used to only be occupied when it was time for a formal dinner. Today however with open concept floor plans being the rule of the day, the dining room has become a more frequented room. Guests often come and hang out in this room, changing the traditional role it has played in the home. With this in mind, it is time to take a look at dining room table choices and see which ones are most appropriate. Here is a list of the choices most are making for their homes. Reclaimed wood has always been a material used for dining room tables, but over the last decade, it has made its way to near the top of the list of preferred choices. 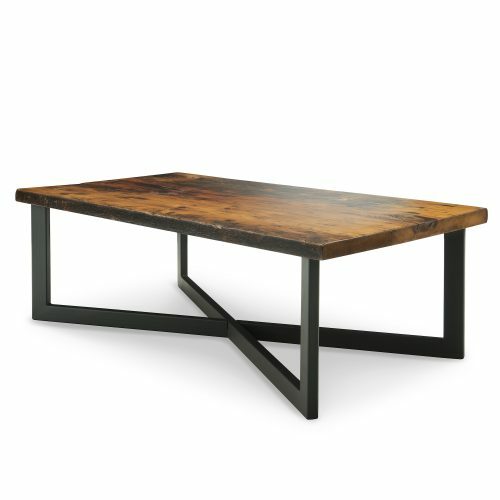 These tables are made from timbers and decking rescued from old barns, factories and warehouses, boxcars, coal mines and wine barrels. Each reclaimed table has a unique look and can often feature a variety of tones of wood. Reclaimed dining tables can be dressed up to make the dining room table high-end looking. Adding fancy linen and table accessories will make the table appropriate for the most formal affair. Or the table can be dressed down for everyday use as a casual dining centerpiece or a place for guests to sit and chat. Reclaimed wood tables also can be mated with a range of chair types depending on the style of your dining room. If you choose a reclaimed wood table for your home, expect a table that is sturdy and that requires little maintenance or care. Most will be finished with a non-stick and non-stain surface and will offer decades of use. If you are looking for the height of formal elegance ten you should consider purchasing a marble dining room table. Marble is one of the most beautiful stones in the world and is a fashionable choice with the current interior design choices that many people make for their homes today. The stone comes in a variety of colors from light to dark and can contain different colors within the stone allowing it to fit with any decor. Marble can also be cut in any shape or size accommodating the smallest or largest dining rooms. Depending on the stone you choose and its size, marble dining room table can be very expensive. But for a look that says elegance and class, this timeless material cannot be beat. Although the table does not truly lend itself for casual sitting, it can become more casual looking with less formal eatery. Glass is a classic material to use for dining room tables. Glass dining room tables go with any decor and run from the affordable to designer prices. The tables can be purchased in a variety of colors and black glass has become a popular choice because of its unique look. Glass table are quite sturdy and made from thick glass that will withstand and plates or bowls dropped on them without the worry of chipping or cracking. They are very easy to clean but must be dusted often. Most people choose either a rectangle or round glass top and often choose class legs as well. These types of tables are also great for casual lunches or brunches. Reclaimed wood tables are the best for all-occasion dining and fit best with today’s home décor.